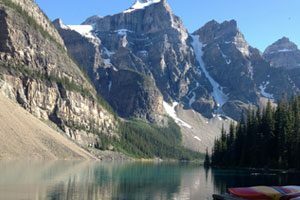 As Canada’s parks system celebrates the country’s 150th birthday with free admission to all parks in 2017, seasoned outdoor adventurers, weekend warriors and day-trippers alike are venturing into Canada’s wilderness. And as travellers prepare for upcoming excursions, Toronto-based Avenza Maps (free for Android, iOS and Windows) is an essential app to download. Gone are the days of fumbling with paper maps that get lost or torn – Avenza Maps enables users to access PDF maps on their smartphones, utilizing their devices’ built-in GPS receivers to mark their positions, routes, points of interest and more – all without data or WiFi. Trusted by organizations, including Parks Canada and National Geographic, Avenza’s catalogue of maps has Canadian explorers covered from coast to coast with a multitude of maps and map bundles for the country’s national parks. Find your way to https://www.avenzamaps.com and check it out.